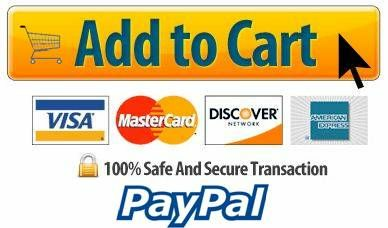 28201 Overpack salvage drum 95 Gallon 31" x 43.25". Ideal for overpacking damaged drums for transport. 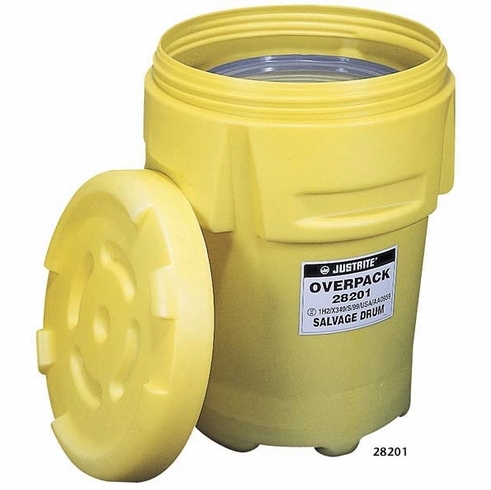 Ninety-five gallon overpack salvage drum is the safe and economical solution to the transportation and temporary storage of damaged or leaking drums of hazardous materials. Rugged, UV protected polyethylene withstands the rigors of land, air, and sea transportation. "X" rating offers the highest UN and DOT certification available - can be used with all packing classes of hazardous materials I, II, and III including solvents, acids, poisons, and explosives. 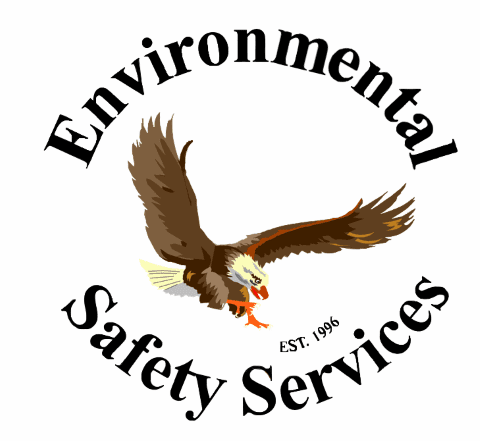 100% polyethylene construction provides superior chemical resistance and durability for a variety of uses such as collection and transport, emergency response, contamination site clean-up, and spill control kits. Twist-on threaded lid makes closure safe and easy with no separate, troublesome metal band needed. Relocation is simple via forklift from any one of three positions. Units nest when empty for compact storage. Maximum performance is assured with independent, third party certification for United Nations transport of hazardous materials. Complies with DOT 49 CFR 173.3(c)(1). Also certified to International Maritime Organization (IMO), International Civil Aviation Organization (ICAO), and International Air Transport Association (IATA).